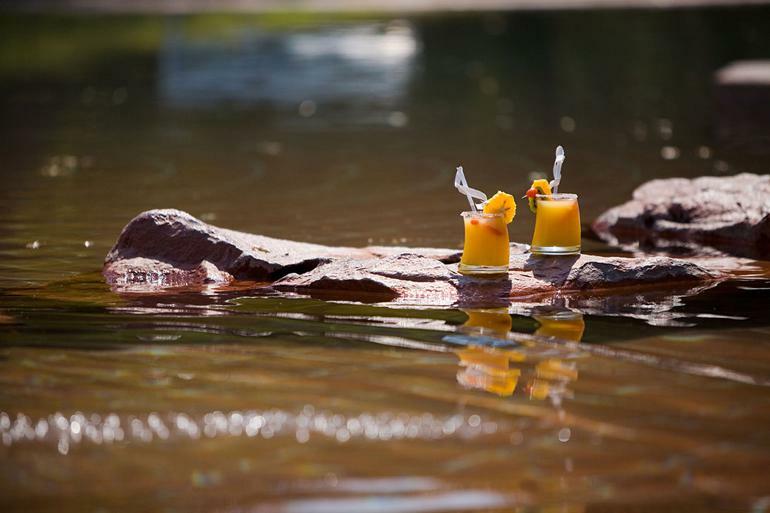 Waterberg Resort is part of Waterberg Plateau Park that is along the base of the cliffs of the Waterberg Plateau. 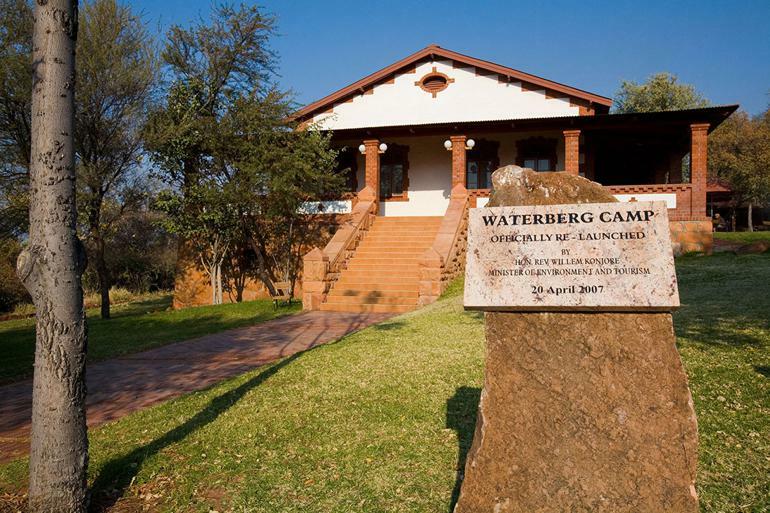 This is close to the Otjiwarongo region.The Waterberg Plateau is inside the national park. It towers some 200m above the surrounding landscape, and the plateau with its sheer cliffs and fascinating rock formations serve as a breeding area for endangered animal species. 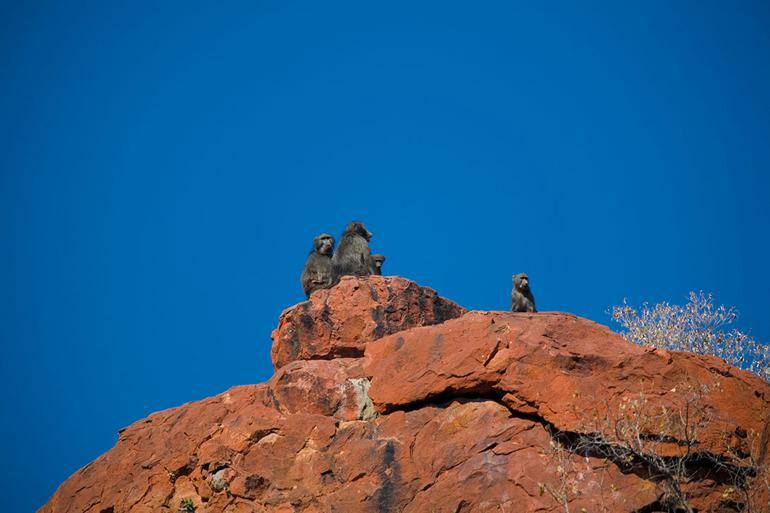 Waterberg Plateau Park is situated east of Otjiwarongo off the D2512. Turn north off the C22 onto the D2512 and the camp is 17 km from the junction on the northern side of the road. Each room has an en-suite bathroom, with wrought iron vanity units and ceramic basins. Complimentary toiletries and soft towels. A ceiling fan, twin bed with comfortable bedding. A tea/coffee station and a mini-fridge. A big sliding door leads into a private porch area, complete with table and chairs. Some of the rooms have barbeque facilities. • Family Chalet: the Self-catering unit with two bedrooms, kitchenette, and braai (barbeque) area. 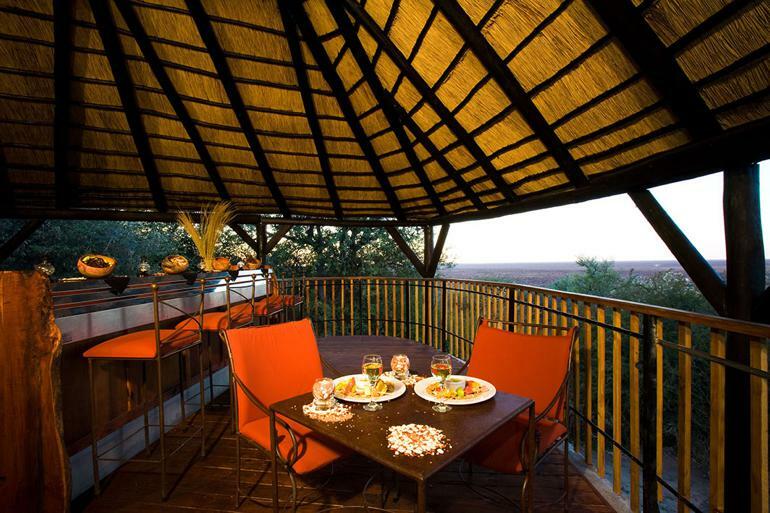 • Premier Bush Chalet: deluxe double chalet with queen size bed only one room, en-suite bathroom, fridge & tea station. • Bush Chalet (4 adults): two bedroom chalet, both rooms en-suite, lounge area, refrigerator, tea station and braai area. • Bush chalet (2 adults): double cottage with bathroom, lounge area, fridge, tea station and braai area. 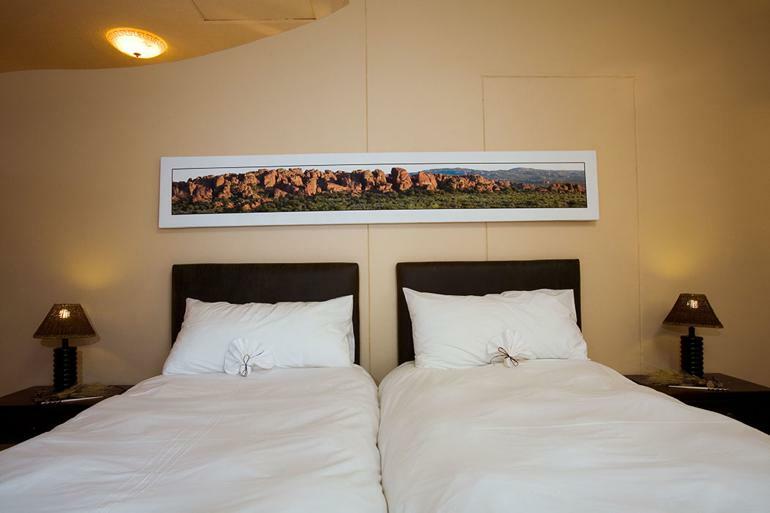 • Double Room: room with en-suite bathroom, fridge & tea station GUEST SERVICES. • Laundry service upon request. 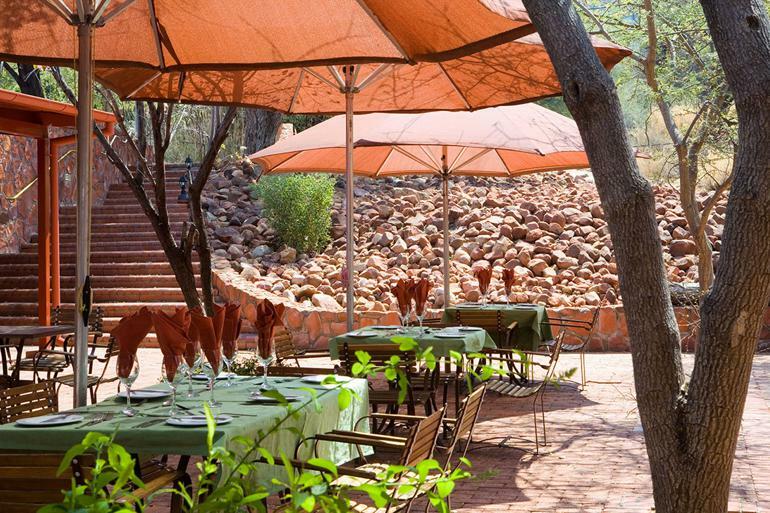 • Daily guided 4×4 game drives to the plateau. • There is a selection of shorter walking trails around the camp.ning or afternoon. • You can see a variety of animals in and around the plateau. • Over 200 bird species are living in the area, including the only colony of the endangered Cape Vulture left within Namibia. The restaurant and bar are inside the historical building of Rathaus. This was built in 1908 and used initially as a police post. • Ancient fossilised Dinosaur footprints on the plateau. • Colonial cemetery at the base of the mountain.